In other articles on this site we cover a number of attempts by designers to construct the ultimate folding boat. 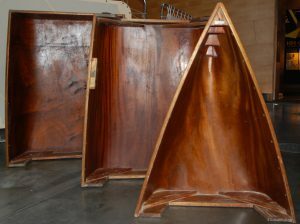 Another addition to the Museum’s collection is more of a nesting boat in three parts. There is nothing new about the idea of a folding boat. Some of the Titanic’s lifeboats were folding boats and were successfully launched before the ship sank, but any lifeboat associated with the Titanic probably would not have received rave reviews so not many were built. Folding boats present all sorts of challenges to their designers, not least of which is trying to make the whole craft watertight without collapsing at the wrong time. One alternative to the folding boat concept is a nesting boat – the boat, usually between 12 and 16ft in length, is bolted together in 2 or 3 sections which nest inside each other when taken apart. The result is a boat half or one third of its assembled length. The advent of modern materials, such as GRP and neoprene, has enabled designers to largely overcome the main problem of getting a watertight joint between the assembled sections. 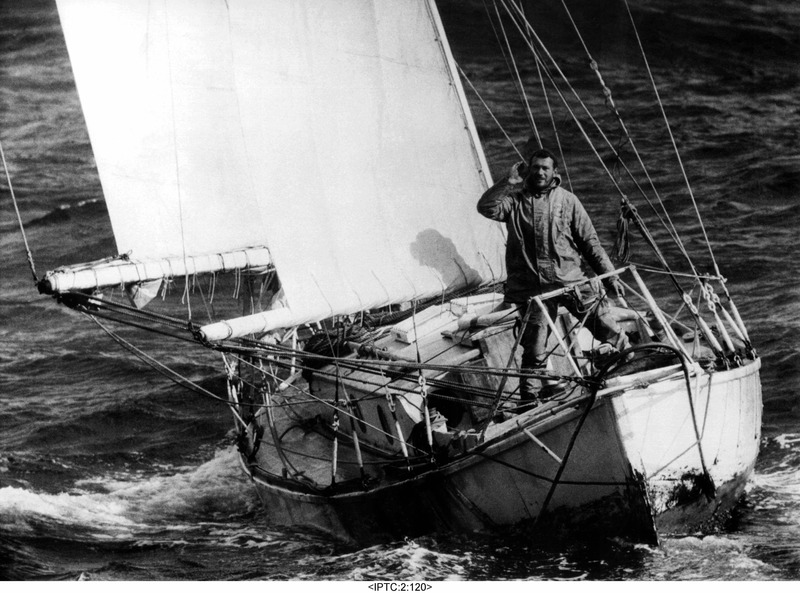 It was not so easy in the days of the Packboat. Thomas Whittle started in 1829 in Warrington, Cheshire, as a currier and leather merchant. By the 1930s Thomas Whittle and Sons was best known for the manufacture of fan belts. Quite why it was felt necessary to diversify into boat building isn’t known, but by 1958 the Packboat was being produced. By this time the company was carrying out work on power transmissions and manufacturing belting, employing 200 people. The 12ft (3.7m) long boat, designed for rowing or motoring, is constructed from thin plywood which is bent into a compound curve to form the bow section, the shape then flattens out to form the next 2 sections, and all three are bolted together with soft rubber gaskets between sections to help make a watertight joint. Once disassembled the boat can be carried in the boot of a car or on the deck of a larger boat. It’s not known how many Packboats were built, but ours has come to us in very good condition, so there may be others in existence. If you have any more information we’d like to hear from you so we can build up a more comprehensive story about these fascinating little boats.